HONG KONG, Jan. 23, 2019 /PRNewswire/ -- "Cold weather spells mean wrapping up in scarves, donning hats and gloves, and accessorising with handbags in lush fabrics and colours. 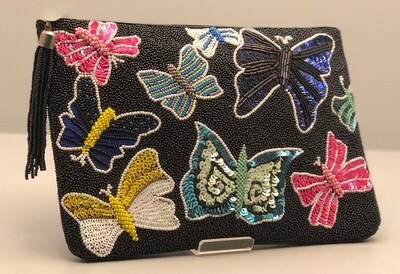 These accessories basically make a look stand out in a sea of neutrals," according to Celine Lau, Director for Jewellery Fairs at UBM Asia, an Informa plc company. "For accessories wholesalers, retailers and other business owners looking for inspirational ideas for the Fall/Winter season, it is important that they get an immediate preview of the season's trends and access to creative ideas that can help them step up their game." Asia's Fashion Jewellery & Accessories Fair – March (3FJ) is one business platform that doubles as a reference point to all things vogue. Scheduled for February 27 to March 2 in Halls 3 and 6 of the AsiaWorld-Expo (AWE), 3FJ is a bridge that connects buyers to fashion jewellery and accessories suppliers from around the world. The fair will bring together about 300 exhibitors and draw 6,000-plus quality buyers from more than 90 countries and regions. India, Korea, Mainland China, the Philippines and the Taiwan region will have their group pavilions, further reinforcing their competitive strengths in fashion jewellery and accessories design and production. Also not to be missed are the Designer Atelier, Fashion Accessories Zone and Stainless Steel Jewellery Pavilion, which are among the show's popular attractions. Blue Planet of the Philippines is celebrating the beauty of natural forms, colours and textures in its extensive selection of chic fashion jewellery made of wood, abaca, seashell and raffia. Necklaces, accessories that pack a powerful punch, are going to show off the elegance and natural beauty of wood – a medium that Blue Planet has full mastery of. Hand jewellery, such as bangles and bracelets, will be made of light materials, including small shells, cords, abaca and raffia, says company executive Richard Forteau. Stainless steel jewellery maker Sumsoar Group of China is giving professional buyers the opportunity to meet their customers' style preferences through product personalisation. Clients may request Sumsoar to custom-engrave charms and bangles, and choose the gold colour plating they prefer, says company executive Winnie Xu. 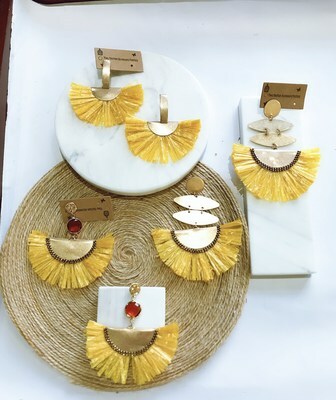 Earrings, consistently one of the most compelling accessory trends, are among India-based SK4 Creations' main offerings at 3FJ. 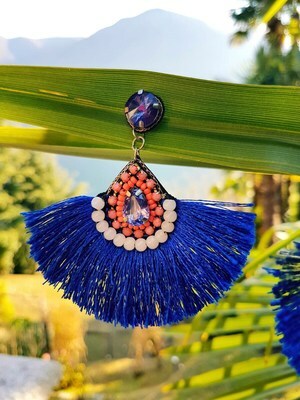 SK4 continues to make waves with its tassel earrings in cobalt blue, coral, tourmaline green and other vibrant hues. "Hair accessories are also a strong product category for SK4. Buyers will be impressed with our fabric turban and knot headbands," notes company owner Adnan Khan. 3FJ exhibitors will be delighted to learn that they may avail themselves of free product photography and video services onsite through the fair's partnership with Picup Media, the company behind GemLightbox. Picup Media is the Official Product Photo Partner for the 2019 editions of Asia's Fashion Jewellery & Accessories Fairs – March & September, and the June and September Hong Kong Jewellery & Gem Fairs.